The look of chalkboard walls and hand-lettered typography brings a hip, industrial vibe to a space. In addition to adding aesthetic appeal, chalkboard menus can be changed often to reflect your most current offerings, specials and prices. 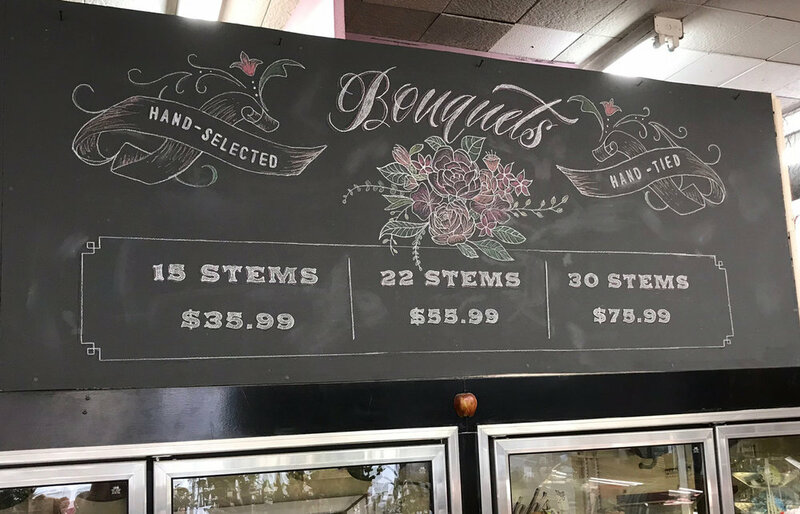 Whether using a board to communicate information to your clients in a beautiful way, or simply as a decorative mural to add character to your venue, chalkboards are an appealing and dynamic option.